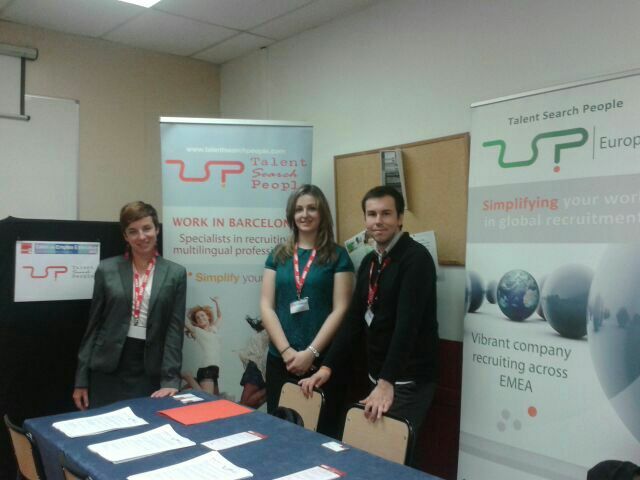 Earlier this week, Talent Search People was fortunate to be able to attend The Employment Forum organised by prestigious business school ESERP. Together with our recruitment agency, HR managers of around 100 companies attended the event, making the Forum one not to miss. The pupils and ex-pupils of ESERP who came to the event had the opportunity to introduce themselves and talk directly to the Recruitment Consultants. “It was a great experience and we met many professionals with a lot of potential”, commented Crisitna González, Sales Recruitment Consultants. The Employment Forum, which regularly takes place in Barcelona and Madrid, aims to unite the academic and business worlds, allowing students to approach companies who are actively looking for new talent. For more information about future events in which you can participate as a candidate, follow us on LinkedIn, Facebook and Twitter.